Sales professional Ian Farrar has over 20 years in global business development roles. 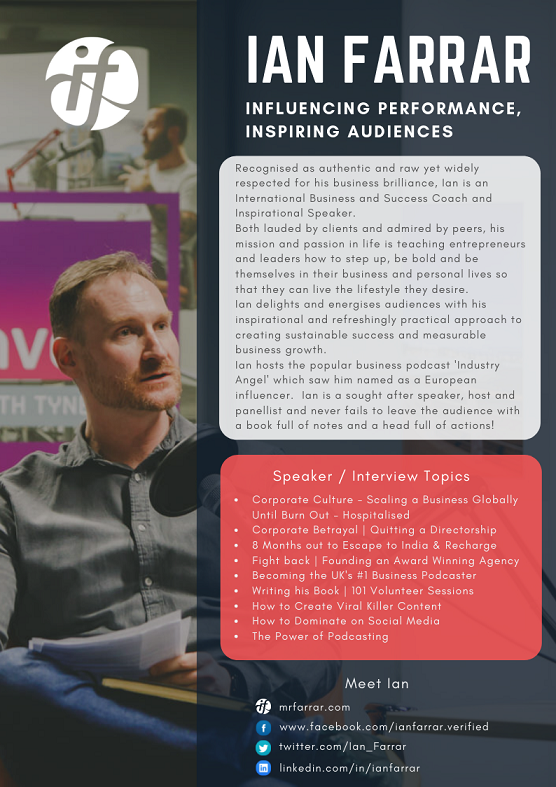 Trained by the UK Institute of Directors, Ian has successfully negotiated business deals and built lasting relationships around the globe… whilst attempting to avoid unwanted overseas experiences such as business scams, negotiating through a mass martial arts street fight and narrowly dodging a car crash... along the way! With a strong, global network of influential contacts to call on, Ian has held management and operational leadership positions for engineering and technology companies. Ian also has impressive experience holding non-executive directorships for innovative organisations. Ian enjoys working with clients to coach them through their business growth and strategy plans and works one-on-one with individuals to realise their potential. Ian delivers upskilling group masterclasses such as Business Model Canvas, Social Media Mastery, Digital Promotion for Business and Sales Leadership. Ian fired himself from corporate life in 2015. With a calling to share his thoughts on sales, culture and leadership, Ian speaks passionately about the need for leaders to protect their teams from work place stress. “People don't leave a good position, they leave a bad manager. A red felt pool table and a pinball machine does not tick the culture box”. 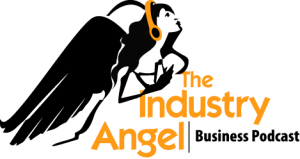 "Ian is highly recommended as an innovative thinker, knowledgeable entrepreneur and all round good bloke." "Ian is a highly motivated and charismatic marketing and business professional. He is a true pleasure to work with, motivated, adaptable and at the top of his profession!" Ian has a friendly, professional way of introducing new concepts and ideas. His passion for business is infectious." "We engaged with Ian to assist us in developing new markets. His approach was very different to what I had seen before but was extremely successful and immediately engaged my team." "Ian has an innovative head, infectious motivational approach & is clearly always thinking multiple steps and iterations ahead."